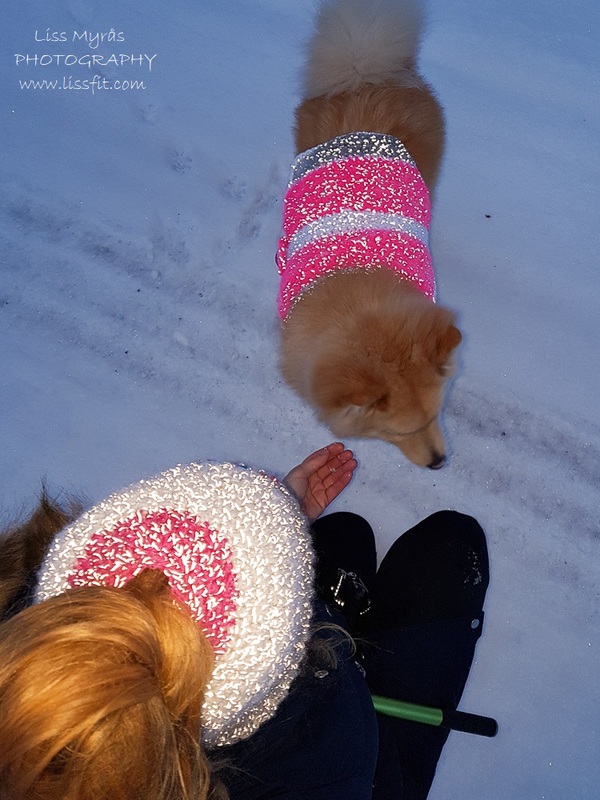 Of course I crochet something for Her Sweetness too.. and some of my first “creations” was this reflective dog vest that would do good when we have to walk near traffic. 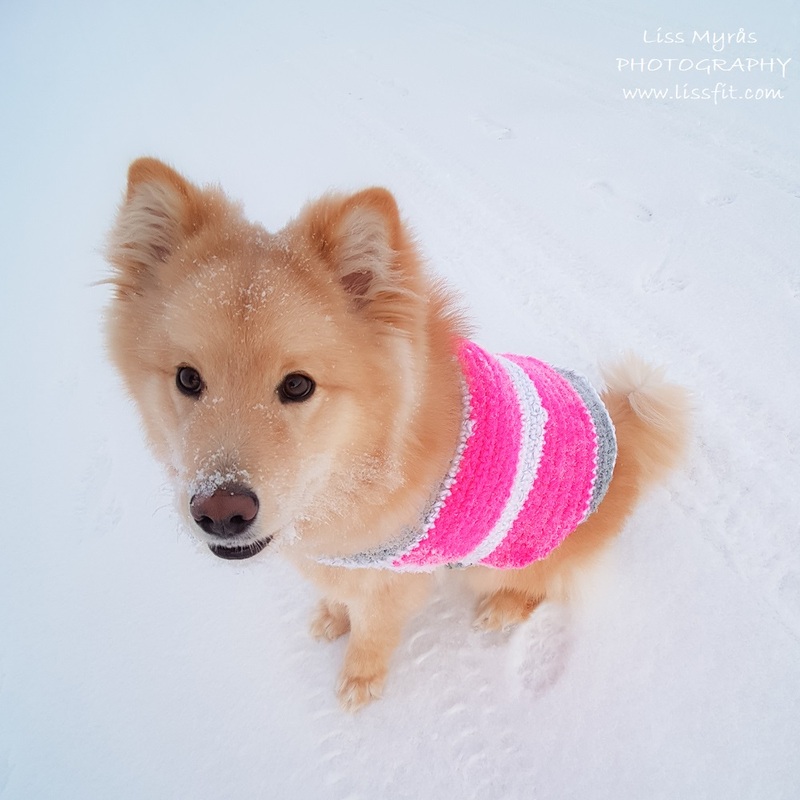 She is already the sweetest thing ever, so I think the super cute neon pink colour from Galaxy reflex yarn looks good on her and sure makes her more visible in daylight too. Everything to make her safer. 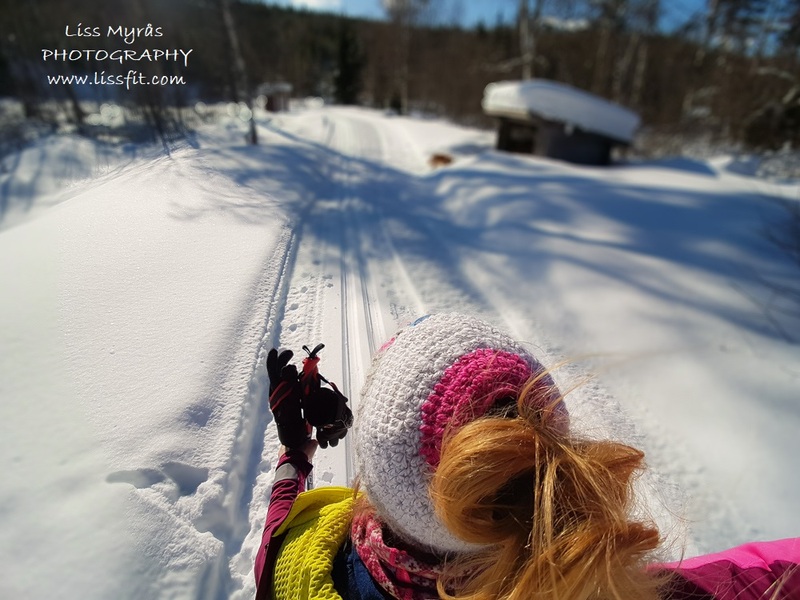 Cross country skiing with my new messy bun beanie – nice to get the hair away from any zippers… and so awesome when the cold wind bites. The fleece lining handles cardio sweat real nice too. Careful with the needles there.. Pretty soon ready to use… the belly belt is also ribbed to be stretchable for Her Sweetness’s belly..
Dog vest pattern: As usual I shoot from my hip to get it the way I want it, so I mostly did this time too.. sometimes it works, sometimes not perfect but still ok (yeah, you noticed my clumsy rounding off at the back of the vest to didn’t you) …however, to get started with some good tips and tricks for the dog vest I viewed this video tutorial on Youtube, but I skipped the front leg holes as my dog don’t need the vest to keep her warm with all that thick lovely fur – it would just make her too hot. Messy bun beanie pattern: Take a look here if you need a video tutorial to help you get started on a simple crochet messy bun. I really love to crochet the ribbed edge as it makes the beanie more stretchy around the head. I also did my very first surface crochet to decorate the beanie a bit.